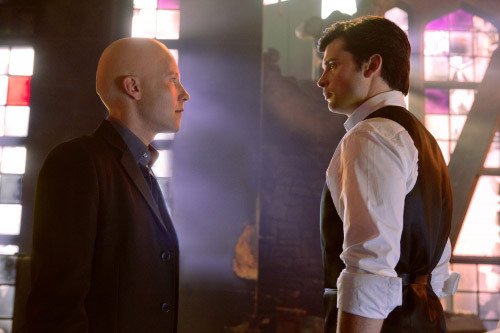 The CW has started airing two more promos for the May 13th final episode of "Smallville." You can watch the promos using the players below! The network has also provided us with new photos from both "Finale" and "Prophecy." You can view the "Finale" ones here or by clicking the image below, and the additional "Prophecy" pics can be viewed here.